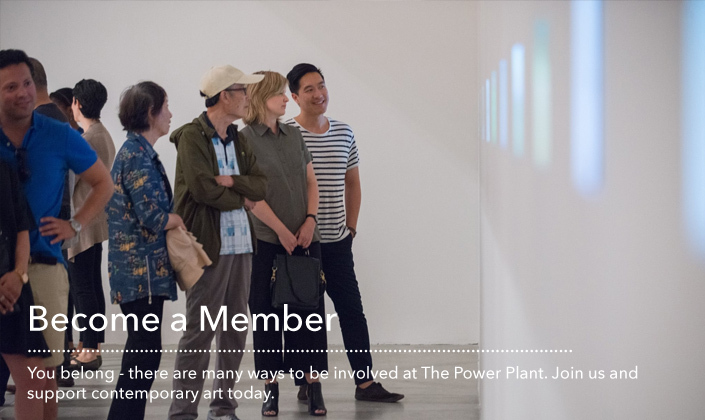 Become a Member TODAY to support The Power Plant and enjoy deeper engagement with contemporary art and culture. The Power Plant offers many ways to be a part of what we do and as a not-for-profit organization, we count on you to make it happen. Benefits of Membership include first access, invitations to exclusive events, reciprocal entry to other institutions and much, much more. Discover the full list of benefits and join now!